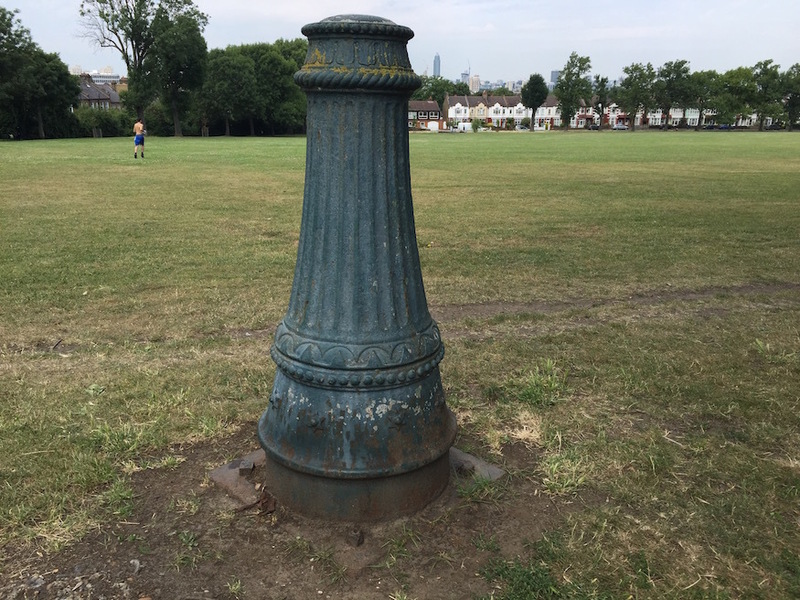 What Is This Mystery Object In Denmark Hill? M@ What Is This Mystery Object In Denmark Hill? On a recent jaunt through Ruskin Park, on Denmark Hill, we chanced across this girthsome erection. 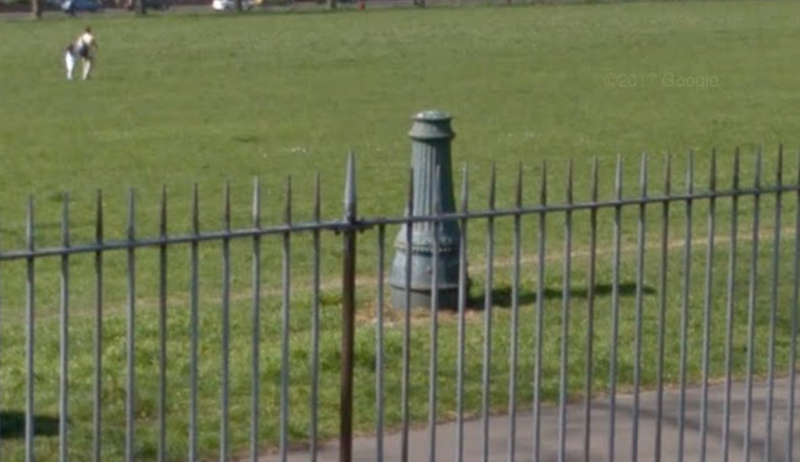 It stands, all alone, in the southern corner of the park, too large and isolated to be a bollard. It could be a sawn-off lamp post but, again, you'd expect to see other structures nearby. A place to tie a horse? A new design of TARDIS? What is it? Like the mystery pillar itself, most people were stumped. Even long-term locals were scratching their heads. It suddenly seemed like an open-and-shut case. The strange object is an amputated stinkpipe. These tall flues were erected — mostly in the Victorian era — to vent sewer gases. There's a whole blog about them. The capped off column lines up neatly with a tributary of the Earl's Sluice, one of the 'lost rivers of London' that's now buried beneath the park as part of the sewer network. It's tempting to suggest that the pipe is therefore a marker for that lost river, although it could have served an adjacent sewer. "Its the base of a vent pipe from mains drainage. Before the sports field was part of the park it was going to be houses. I suspect the drains were laid before the land was bought and added to the already existing park. On Dulwich Rd opposite the lido cafe there is another capped vent pipe with historical info." When and why it was cut down remains a mystery, but its curved stump has invited lewd comparisons. With thanks to everyone else who contributed ideas and links. 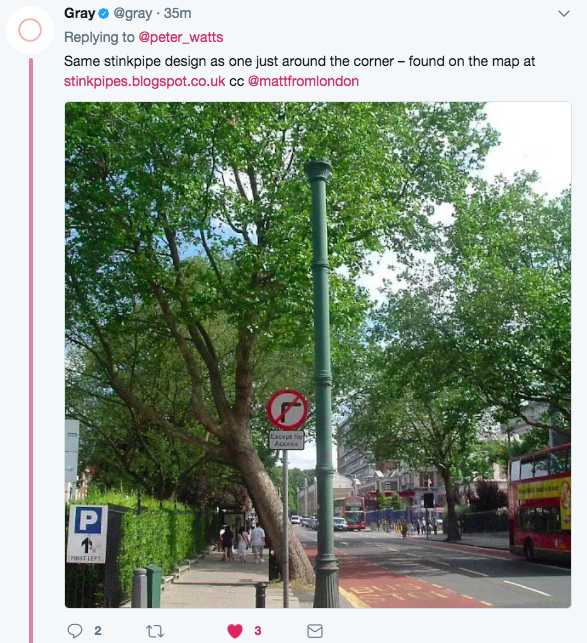 For the full thread, see @mattfromlondon's Twitter.